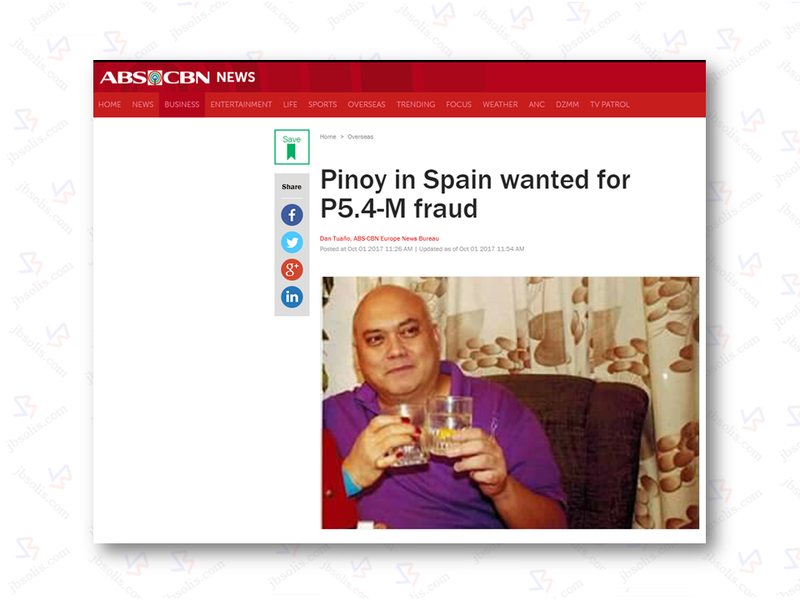 The Philippine Embassy in Spain called for information on the whereabouts of Filipino fugitive Isidro Lucas Rodriguez, who is facing charges defrauding about 90,000 euros or P5.4 million from his fellow Filipinos. Lucas Rodriguez has been roaming the cities in Spain but will no longer be able to get through all exit points in Spain, according to Consul Ralf Roldan. 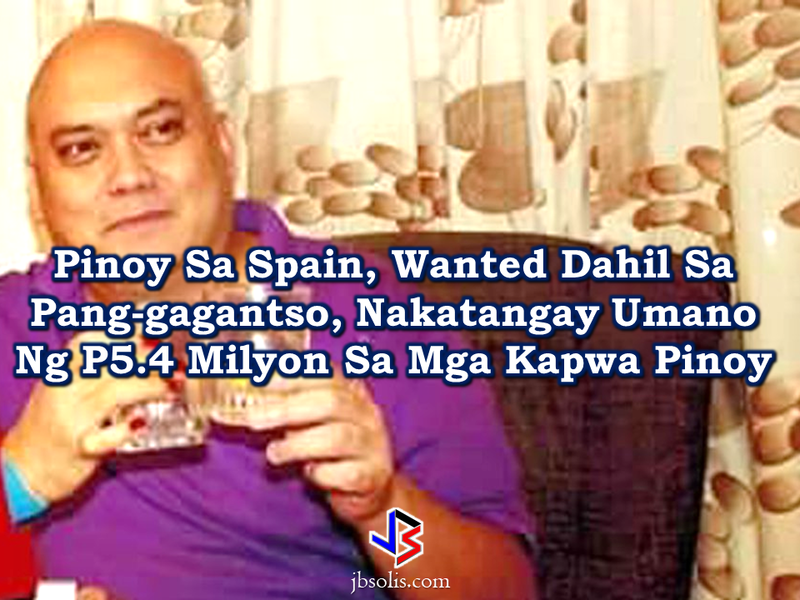 Rodriguez is said to victimized Filipinos in Granada, Madrid, Valencia and Barcelona, promising tourist visas for their families in the Philippines and high investment returns from apartments that he reportedly leased to students and foreigners. 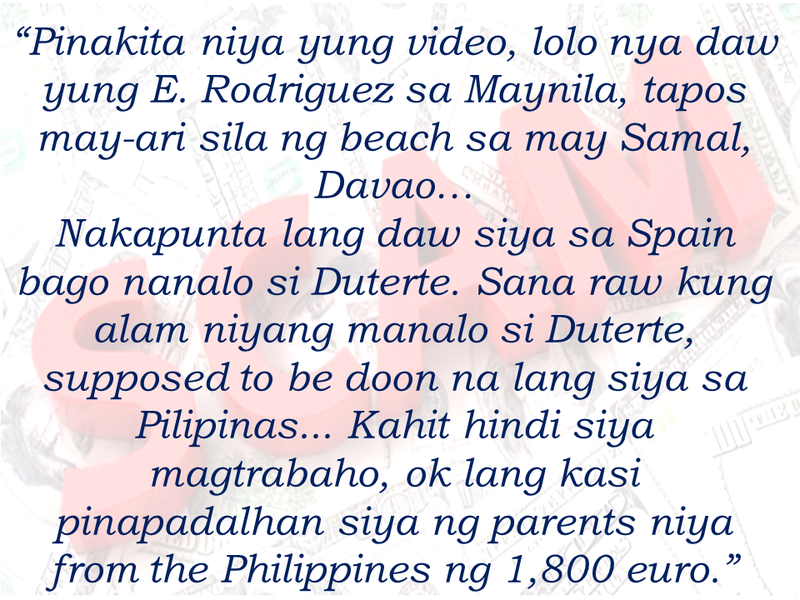 A client who requested to with hold his/her identity said Rodriguez offered to fix her family’s tourist visas to be able to come to Spain, for a sum of 5,450 Euros or P325,000. 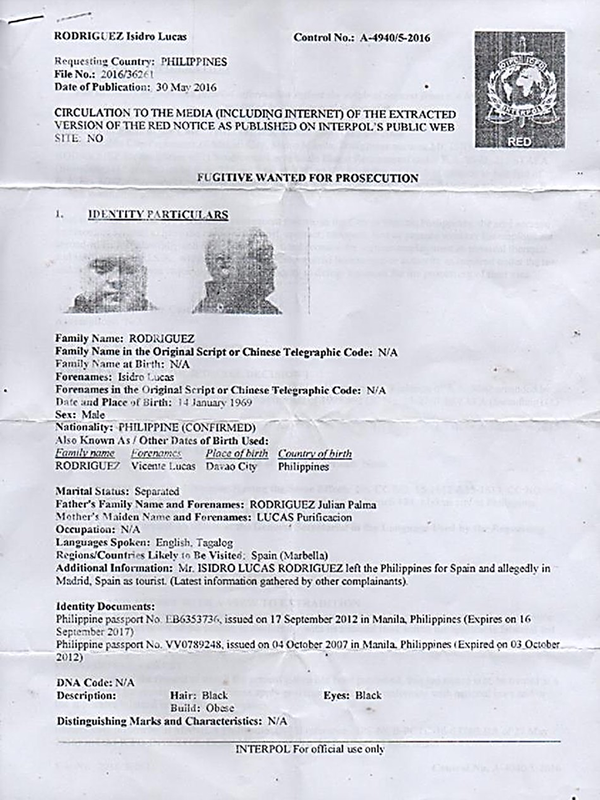 Rodriguez claimed that he knew top government officials at the Spanish Embassy in the Philippines and even accompanied the victim in applying for a bank loan. Another victim by the name"Mayte" said that she was convinced by Rodriguez to invest her entire savings in his apartment-for-rent business amounting to 2,000-euro. The suspect, as victims said appeared "refined, caring and well-versed in English". 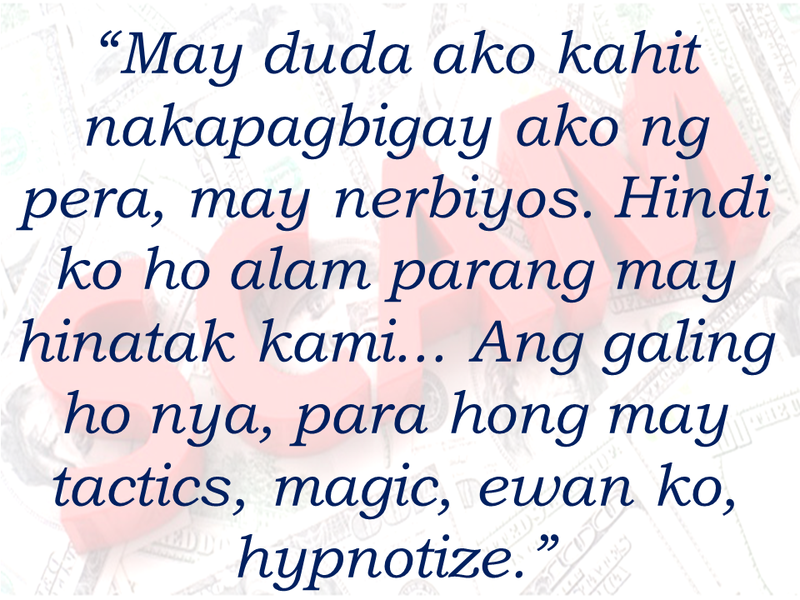 Another victim, Linda, said that Rodriguez seemingly used hypnotism on her. Some victims reported that Rodriguez has come in contact with them through a social media account under the name, Lucas Rodriguez, whose profile picture showed an apartment unit. 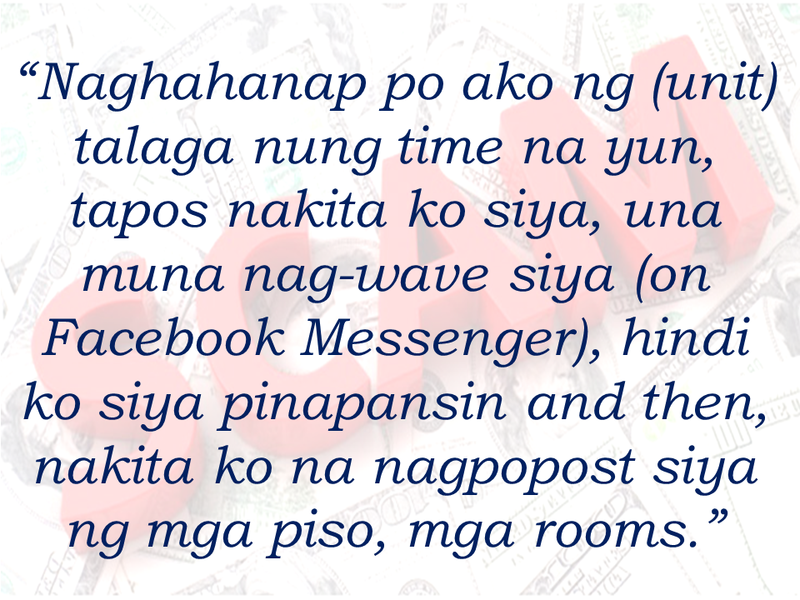 According to reports, Rodriguez also swindled around 200,000 Euros or P12 million from foreigners, who were looking for rooms and apartment units in Barcelona through Facebook and AirBnb. 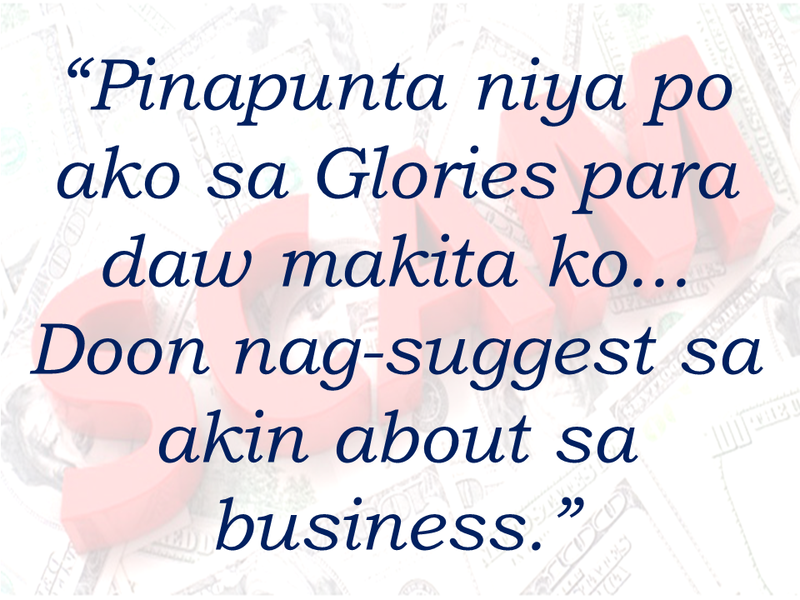 He also has a long history of estafa, illegal recruitment, and human trafficking. 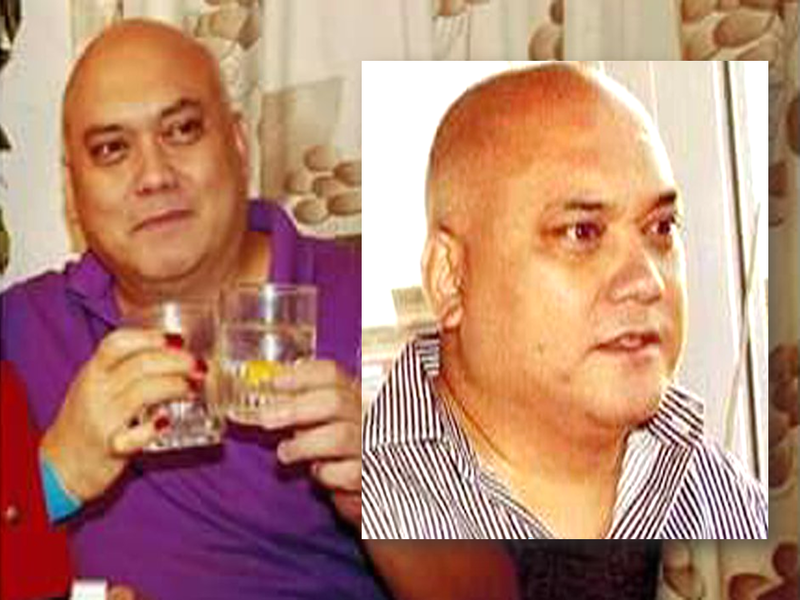 An expats alliance, Migrante said that Rodriguez has been found guilty of illegal recruitment in the Philippines. 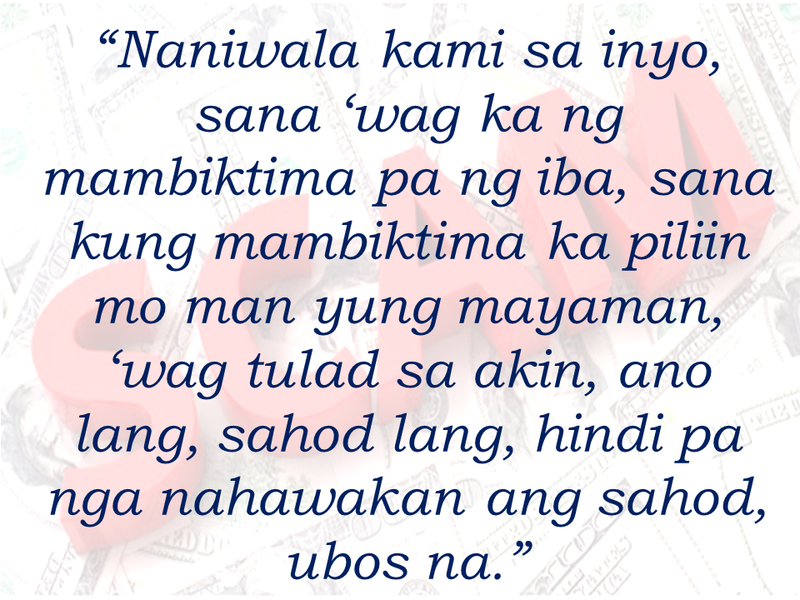 Numerous pending cases of syndicated estafa and large-scale illegal recruitment and trafficking in persons are filed against him by some 300 Filipino teachers. 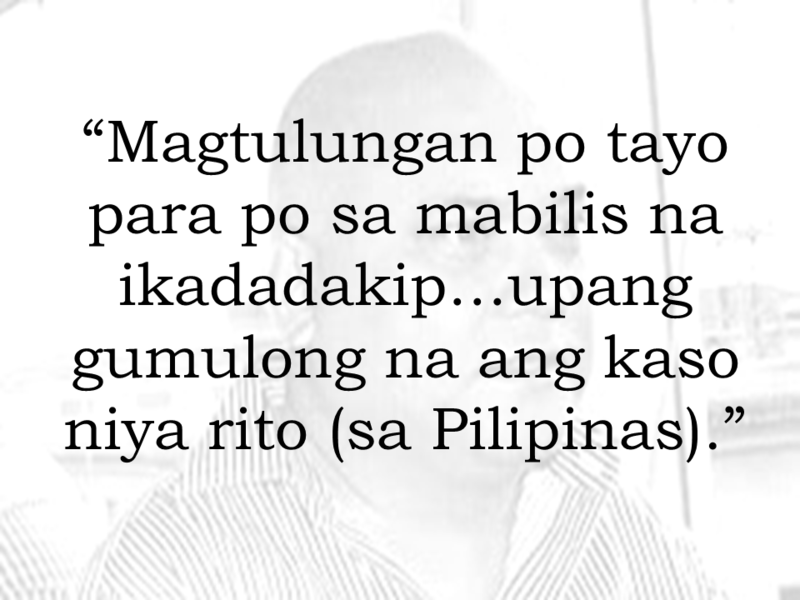 Teacher Loel Naparato, urged Filipinos in Spain to help in the manhunt that will lead to the arrest of Rodriguez. 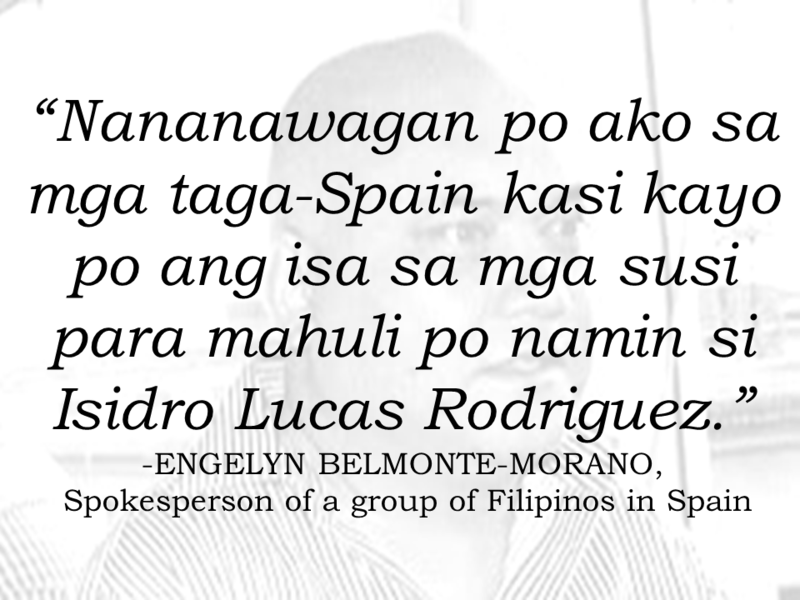 Engelyn Belmonte-Morano, spokesperson of a group of Filipinos in Spain, echoed the request to the people to provide any information as to the whereabouts of the wanted fugitive.